We are proud to feature a collection of pieces that innovate new methodological approaches, confront the relationship between knowledge and power, and speak to the urgent concerns of the present, infrastructure, ecology, migration, and war. In “Epicures and Experts: The Drinking Water Controversy in British Colonial Cairo,” Shehab Ismail explores taste, class, and the environment. When in 1905 the Cairo Water Company altered its source of intake to deep wells instead of the Nile, it pitted experts, officials, and the urban poor in a battle over knowledge, medical traditions, and water practices. In tracing the five year struggle in which the palate became a battleground, Ismail reveals how taste, as a mode of embodied knowledge became a site of confrontation between heterogenous epistemic persuasions. In “From Mandate Borders to the Diaspora: Rashaya’s Transnational Suffering and the Making of Lebanon in 1925,” Reem Bailony traces debates on the social, political, and economic constructions of Lebanon and Syria, both in the borders of the French Mandate and well outside of it. By placing mahjar studies and Middle East studies in close conversation, Bailony both calls for and provides a model for a methodology that transgresses the territorial confines of the nation-state. In doing so, she reveals the crucial role of the mahjar in consolidating Lebanon as nation- ally distinct from Syria and in need of different sectarian arrangements. Neha Vora and Ahmed Kanna contribute reflections on two decades of ethnographic experiences researching Dubai and other cities in the Arabian Penninsula. “De-exceptionalizing the Field: Anthropological Reflections on Migration, Labor, and Identity in Dubai,” explores and critiques scholarly identity and authority in a call to develop understandings of Gulf cities that address migration, diaspora, place, and belonging. Vora and Kanna thus put the individual experiences of politics, geography, racialization, and minoritization into conversation with the knowledge that is produced on these historical forces. Graham Pitts reveals how the “human ecology” of Lebanon evolved according to the logic of an expanding and retracting global capitalism in “The Ecology of Migration: Remittances in World War I Mount Lebanon.” In detailing the material and environmental history of migration as well as highlighting World War I, the famine, and remittances, Pitts traces a broader trajectory of Lebanon’s history. In “Writing Shame in Asad’s Syria,” Judith Naeff analyzes how the Syrian author Khaled Khalifa built feelings of shame into the literary structure of his novelNo Knives in the Kitchens of this City. She traces the multiple forms of shame and how, like rot, its pervasive spread unravels relations. Shame, she suggests, is at once contagious and repulsive, and is one site to both reflect on and understand the unraveling of Syrian social landscapes under the Asads’ authoritarianism. We offer as always a robust set of reviews and review essays that feature the latest contributions to the study of the Middle East. Arab Studies Journal is pleased to announce that Susanna Ferguson’s “‘A Fever for An Education’: Pedagogical Thought and Social Transformation in Beirut and Mount Lebanon, 1861-1914” (Spring 2018) was selected by the Women Historians of the Middle East (WHOME) group as a co-winner of their 2018 Graduate Student Paper Prize. WHOME awards an annual prize for the best article about Middle Eastern history written by a female-identifying graduate student (Masters or PhD). The award aims to bring attention to the innovative scholarship women are producing in the field. The article may be about any period in Middle Eastern history and may address any subfield in the discipline. Nomination can be made by the author, academic advisors, professors, or journal editors. The winner was announced at the WHOME meeting at the Middle East Studies Association Annual Meeting. WHOME is a group of female-identifying historians dedicated to creating an inclusive space to inspire and promote women’s historical research on the Middle East, as well as to protect and mentor across and with ranks. Its membership is open to all graduate students and those holding a doctorate within the discipline. In celebration of this award, ASJ is pleased to make Ferguson’s article available for download (at no cost) for a limited time. To download the article, please click here. We are proud to feature a diverse array of disciplines and approaches in this issue. In “The Nahda in Parliament: Taha Husayn’s Career Building Knowledge Production Institutions, 1922-1952” Hussam R. Ahmed traces the bureaucratic and institutional force of one of the most influential intellectuals of the twentieth century. He reveals new ways to think about the ties between intellectual work, knowledge production, pedagogy, and the Egyptian state. In “‘Jerusalem, We Have a Problem’: Larissa Sansour’s Sci-Fi Trilogy and the Impetus of Dystopic Imagination,” Gil Hochberg offers a reading of both the colonial legacies of the sci-f genre and the potential for its radical upending. Hochberg ponders the question of Palestine in a futuristic post-factual and post-national time of becoming. In “‘A Fever for an Education’: Pedagogical Thought and Social Transformation in Beirut and Mount Lebanon, 1861-1914,” Susanna Ferguson explores education’s appeal and promise of stability and reform in the nineteenth century Arab world. In “Infrastructure Crises in Beirut and the Struggle to (Not) Reform the Lebanese State,” Éric Verdeil approaches public infrastructure as a site of political struggle. Verdeil challenges the conventional readings that assert the power of neoliberalism and sectarianism to marginalize state institutions, showing instead how infrastructural policy instruments accentuate Lebanese society’s gaps and inequalities. Finally, in “If We All Leave, Who Will Cut the String: Exiled Intellectuals in Ghada al-Samman’s Thought,” Louis Yako contributes an engaged read of exile, the role of the intellectual, and the possibilities of revolution. 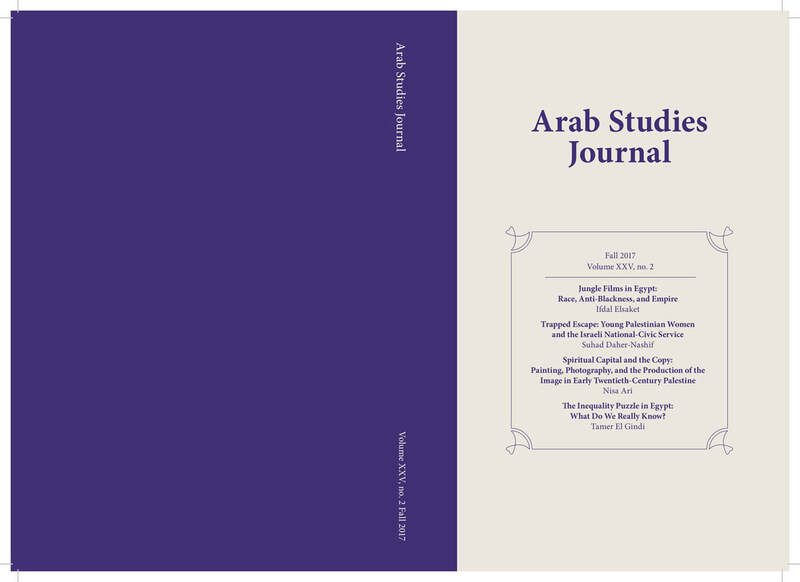 The 2017 Annual Meeting of the Middle East Studies Association (MESA), held November 18-21 in Washington D.C., showcased the Arab Studies Institute’s (ASI) expansive, talented, and ever-growing network of scholars, activists, authors, practitioners. This year’s MESA offered a wonderful opportunity for ASI to announces some of its most exciting new projects, initiatives, and developments. Here, we share a sense of the MESA whirlwind with you, reflecting in turn on future ventures at ASI, our sister organizations, and scholarship on and in the region more broadly. The 2017 Annual Meeting of the Middle East Studies Association (MESA), held November 18-21 in Washington D.C., showcased the Arab Studies Institute’s (ASI) expansive, talented, and ever-growing network of scholars, activists, authors, practitioners. This year’s MESA offered a wonderful opportunity for ASI to announces some of its most exciting new projects, initiatives, and developments. Here, we share a sense of the MESA whirlwind with you, reflecting in turn on future ventures at ASI, our sister organizations, and scholarship on and in the region more broadly.